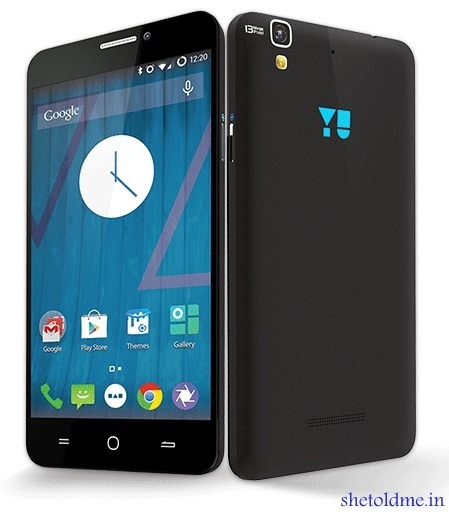 Micromax Yu Yureka was exclusively available on Amazon India from January 13. The first flash sale which held on the same day with 10,000 units were sold out in just three seconds.The second flash sale which held on January 23rd was over in just four seconds during which it sold 15,000 units of the phone. But to to be eligible to participate in the flash sales you need to Register yourselves. After yesterdays sale Yu decided to keep the sale on every Thursday at 2 PM. To get reminded Yu Yureka is priced at Rs 8,999 with impressive specifications.It comes with a 64 bit Snapdragon 615 octa core processor that has a clock speed of 1.5 GHz and Adreno 405 GPU which runs on Cyanogen OS 11 based on Android 4.4.4 KitKat. It also supports 4G connectivity and has a 13 megapixel rear camera with f2.2 aperture and Sony Exmor sensor. The camera can capture slow motion videos in 30 FPS with a huge 5.5 inch (720x1280 pixels) IPS display.The display got Corning Gorilla Glass 3 protection. In the front, it has a 5 megapixel camera. It has 16 GB inbuilt storage and 2 GB DDR3 RAM and 2500mAh Li-Po battery. There is an expandable storage slot too for a micro SD card of up to 32GB. Registration is now open for next Thursday sale. Are you planning to buy this beast? If you already bought did you checked the accessories section?